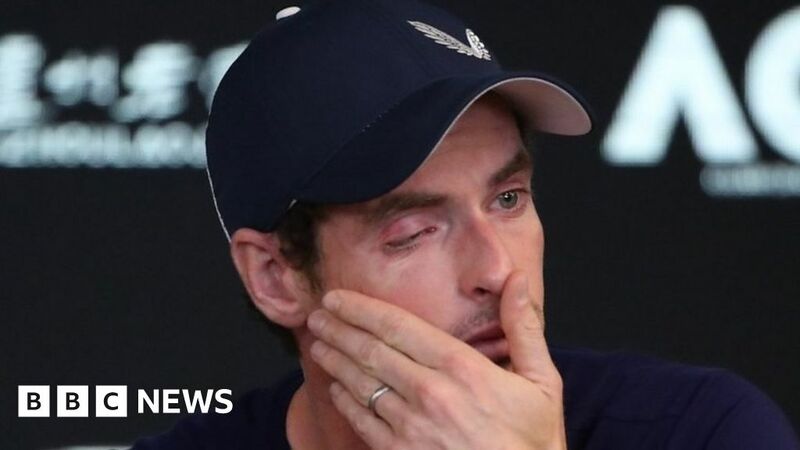 The three-time Grand Slam winner, who is struggling to recover from hip surgery, was in tears as he spoke to journalists in Melbourne on Friday. However, 31-year-old Murray says he still intends to play his Australian Open first-round match against Spanish 22nd seed Roberto Bautista Agut next week. In his news conference, Murray conceded: "I'm not feeling good, I've been struggling for a long time. Murray was frank in his assessment of his abilities; conceding he is no longer able to perform to the level which saw him win the US Open in 2012 and Wimbledon in 2013 and 2016. He told the world's media of the agonising pain he is in when playing the sport and says further hip surgery might be needed to ensure he has a better quality of life in retirement. "The pain is too much really," he said. "I need to have an end point because I'm playing with no idea of when the pain will stop. "I'd like to play until Wimbledon - that's where I'd like to stop playing - but I'm not certain I'm able to do that. "I have the option of another operation which a little bit more severe - and involves having my hip resurfaced - which would allow me to have a better quality of life and be free of pain. "That's something I'm seriously considering now. Some athletes have had it and gone back to competing but there's no guarantee of that. "If I had it, it would be to have a better quality of life." Murray also ruled out becoming a doubles player in the future, ending the possibility of him teaming up with older brother Jamie in the twilight of his career.